In this video, I expose the numerology of the Las Vegas False Flag shooting from October 1st, 2017. We are in a new information age and the occult no longer has the edge on knowledge. See how this attack was a tribute to the ancient Roman God of trust and good faith, Fides, and its asteroid. Trump is using this attack to push his New World Order anti-gun agenda, and it’s time the people of this world stand up and do something to stop these criminals running roughshod over Washington and the rest of the world. For the UK – whose laws and policies all-too-often influence those of the U.S. – gun control isn’t enough. Probably nothing will ever be enough. Shuriken / throwing stars – Why are they banned? When you practice something all the time you eventually get very good at it. The one thing many awakened and vigilant Americans have become good at over the past few years is sniffing out government false flags because they have so much practice at it. 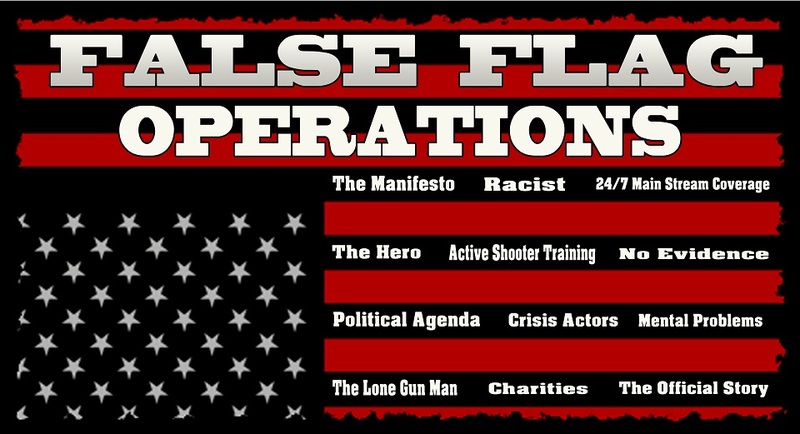 You may find that the events surrounding the recent Umpqua Community College shooting in southern Oregon may ring a few familiar false flag bells after you consider what the mainstream media is saying about the shooting. It is at least extremely reasonable to suspect that this is yet another gun control shooting false flag event since it has many of the characteristics of it. Sounds crazy? Yes, it always does. False flags are supposed to divide people in addition to tricking them. But as I’ve said repeatedly in the past, when considering a suspected false flag event you have to start somewhere. Look for the beneficiaries of course and look for common patterns. I think many of us know the patterns by now and what to look for when suspecting a false flag shooting. The college where the latest shooting took place is located six miles north of Roseburg, Oregon and was a very small town where you would expect everyone to be known to most people yet early on it appears this is not the case. Thirteen so far unknown people are said to be murdered and another 20 wounded. So, should we believe that the Oregon shooting is legitimate with no government involvement? I would like to think so, but as always many things surrounding this latest shooting force us to consider if we’re dealing with yet another gun grab shooting designed to push anti-gun legislation. With the new world order’s Agenda 2030 pushed last week with help from the Pope, we know that Obama now has gun control as one of the remaining major items on the top of his list before he leaves office in 2016. The administration desperately needs this gun-control agenda to be pushed through and we’ve seen a laundry list of proven false flag shootings over the past several years. Are you someone who wants to believe this is not so? Then deal with these 13 points which at the very least bring into question this latest shooting. 1 – Grandiose mainstream media headline demanding your attention to this story. Without the same grandiose mainstream media headline, I myself would not have noticed this story online. Here we go again? This is now the latest 24/7 story that the mainstream media seems to want and need you to be fascinated by. This alone is a huge tell-tale sign no one should overlook. 2 – Immediate call for gun control in the story sub-headlines. This latest Oregon school shooting comes with no holds barred. Even in the very headline there was a quick post announcing the need for gun control. Whenever you have gun control pushed on you before you can understand what just happened, that should be a red flag. VIDEO — Dylann Roof’s Racist Manifesto is a HOAX! Don’t Be Fooled! Charleston Shooting Crisis Actors COMPLETELY Exposed! 100% Busted & Sent to Saturn! Why Does the South Carolina Shooter Dylann Roof’s Website have Ties to Russia? For most consumers of alternative news and media, the lineup of the players constitutes the tyrants and their systemic control, and the enlightened underground, with both sides fighting the great battle of winning the hearts and minds of the rest of the public. For the alternative news and information community, the possibility of large-scale psychological operations within alternative media itself are generally outside the spectrum of the possible. Indeed, crowds today are sill cheering on Assange and his Vaudeville Whistleblower Roadshow with Bradley-Chelsea Manning, and more recently, finding themselves intellectually snowed-in by our last hero, Snowden. On the surface, the exercise gives credence to the ultimate fears and paranoia of tea party and militia groups – clearly the U.S. government is prepping for everything from “martial law,” to “economic collapse,” and everything else under the sun that can be gleaned from a Google search and baseless YouTube speculation. ‘Common Sense Show’ host Dave Hodges has argued the end goal of Jade Helm is the imminent roundup, gulag confinement and gun confiscation of all Americans who have been marked as rebellious, with bank account confiscations, martial law and false flags just around the corner. Infowars reporters Joe Biggs and David Knight have argued similarly that the threats are rather constant, slow build ups to condition the American public into the acceptance of moving towards a third world, ‘banana republic’ scenario. However, what all these portrayals have not delved into is the possibility that Jade Helm 15’s sensational “leak” (a Powerpoint slide show) to the “alternative news and patriot community” itself may be nothing more than a psychological warfare operation. In order to understand this possibility, it is necessary to understand the purpose and goal of PsyOps. During the recent Baltimore protests which reeked of George Soros‘ usual nefarious escapades, and which occasionally resulted in a number of businesses being looted and burned – and also cop cars being suspiciously burned – and which also sparked solidarity protests as far as Ferguson, Oakland, Denver, Minneapolis, Washington DC, New York City, and Seattle, twitter feeds were soaked with comments like “stores can be re-built but Freddie Gray’s spine can never be rebuilt”. Variations of this argument appeared to dominate the twitter-sphere. 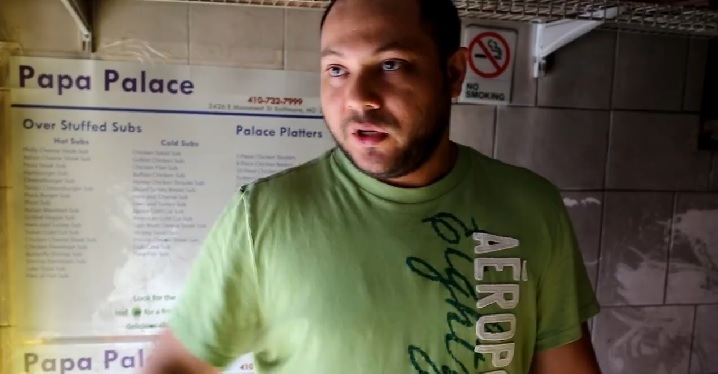 In light of this, what can those who use this fallacious argument say when faced with this IJ Review video featuring an interview with a Baltimore pizza shop owner, Essam el Ghannam, who mentioned that a 14 year old girl tried to light him and his vehicle on fire in Baltimore amid the riots? That’s right, teenagers tried to murder an innocent man in one of the most torturous and brutal ways imaginable, by dousing him with lighter fluid and attempting to ignite the flame. The video shows his burnt and looted store, Papa Palace, which the man has owned and operated for 8 years. He said that at the time that this occured he was watching his 12-year old niece and had to rush her to safety. What was this teenager thinking? Judging from Ghannam’s reaction, it’s likely she simply wasn’t thinking. Leonard Peikoff defines “thinking” as identifying. He points out that when you ask yourself “where” an event is happening you are actually asking about the identity of the location – “what is the location”. When you ask “when” an event is happening you aim to identify the time at which the event occured – “what is the time interval during which this event occured”, and so on. Hence, thinking is the act of identifying. It’s all about the “what”, at the end of the day. Objectivism holds that value is objective (not intrinsic or subjective); value is based on and derives from the facts of reality (it does not derive from mystic authority or from whim, personal or social). Reality, we hold — along with the decision to remain in it, i.e., to stay alive — dictates and demands an entire code of values. Unlike the lower species, man does not pursue the proper values automatically; he must discover and choose them; but this does not imply subjectivism. Every proper value-judgment is the identification of a fact: a given object or action advances man’s life (it is good): or it threatens man’s life (it is bad or an evil). The good, therefore, is a species of the true; it is a form of recognizing reality. The evil is a species of the false; it is a form of contradicting reality. Or: values are a type of facts; they are facts considered in relation to the choice to live. Many seem to mistakenly agree that 2 wrongs make a right. Unfortunately, reality is not merely a product of what we want. It’s not that convenient. Not for you, not for me, and not for those teenagers either. The fact is that one either understands and respects property rights or one does not. We can’t move the goalposts. We can’t have something be wrong one day and then suddenly be right the next. WIN YOUR OWN GHOST GUNNER MACHINE!